All our sessions are tailored to individual needs and aims. 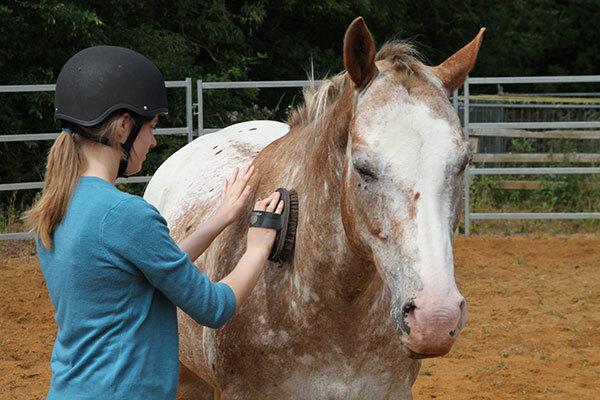 A typical therapeutic course will consist of one session per week for 12 weeks. A session can be an individual hour or half hour session or a group 2.5 hour session. We can also provide one off visits, or more intensive courses. Learning about horse behavior by watching the herd in the fields. Learning how to take care of a horse, including grooming, feeding, mucking out and care of their fields. Finding out how horses communicate, through body language and energy. Bonding with the horse through massage and play. 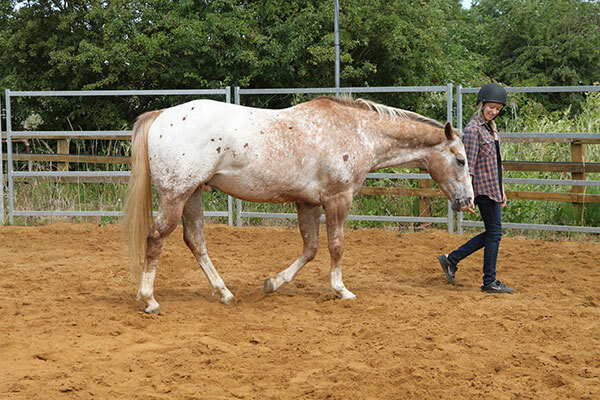 Different ways of interacting with the horse, including leading, longreining and free interaction. Sometimes, we may include riding (there is a weight limit of 12 stone). All of our horses are Western trained (like the horses that cowboys rode on ranches), giving a practical and relaxed approach, with an emphasis on a trusting partnership between horse and human. Through the horse activities, participants will also learn about taking care of the countryside to maintain a sustainable environment for the horses. We believe that horses can help us find our way as a community to fit respectfully into the natural environment, linking with conservation and wildlife. We also have a vegetable garden which many clients enjoy helping out with. We are not therapists, so do not offer any form of counselling or psychotherapy. At present we are not able to offer residential courses.